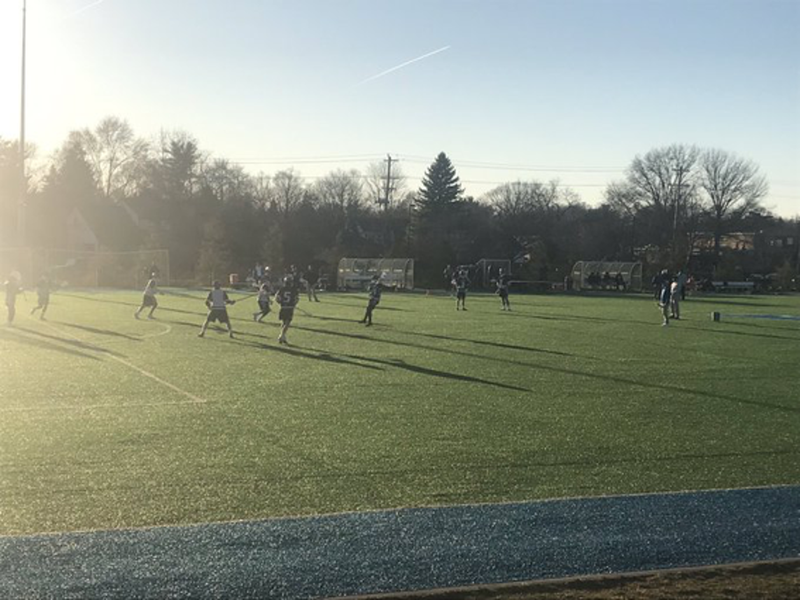 The Kilbourne Wolves came up short 8-10 against rival Upper Arlington Tuesday (3/26). The Wolves battled hard in the back and forth affair but ultimately suffered their first loss of the season. Kilbourne started strong and posted a first quarter lead over the Bears 3-2. The gamed changed in the 2nd quarter as penalties mounted against the Wolves and possessions and EMO's added up for Upper Arlington. Unofficially for the game, the Wolves were flagged for 10 penalties compared to UA with 2. With the possessions, UA surged back in the 2nd Quarter with 4 goals to claim a 6-4 halftime lead. UA extended the lead to 8-5 before Kilbourne cut the deficit back to a one goal lead. Ultimately, penalties against the Wolves, a couple timely goals for UA and UA's ability to dominate possession time and win ground balls allowed the Bears to hold on for the 10-8 victory. The Wolves are now 3-1 on the season. The UA loss is a non-division game. After 3 straight road games the Wolves now return home next Thursday against Hilliard Darby. Kilbourne JV lost 13-2 to Upper Arlington JV in a one sided affair. UA scored 5 in the first quarter and never looked back. UA was effective in all facets of the game.